The National Society for the Prevention of Cruelty to Children (NSPCC) is a charity campaigning and working in child protection in the United Kingdom and the Channel Islands. On a trip to New York in 1881, Liverpool businessman Thomas Agnew (1834–1924) visited the New York Society for the Prevention of Cruelty to Children. He was so impressed by the charity that he returned to England determined to provide similar help for the children of Liverpool. In 1883 he set up the Liverpool Society for the Prevention of Cruelty to Children (LSPCC). Other towns and cities began to follow Liverpool's example, leading on 11 July 1884 to the founding of the London Society for the Prevention of Cruelty to Children (London SPCC) by Lord Shaftesbury, the Reverend Edward Rudolf and the Reverend Benjamin Waugh. On 1 January 1877, the Child's Guardian, the official magazine of the Society was launched. The magazine was modelled on the Royal Society for the Prevention of Cruelty to Animal’s Animal World and was designed to educate the public on the nature of cruelty to children. After five years of campaigning by the London SPCC, Parliament passed the first ever UK law to protect children from abuse and neglect in 1889. The London SPCC was renamed the National Society for the Prevention of Cruelty to Children on 14 May 1889, because by then it had branches across Great Britain and Ireland. In the same year the Chief Commissioners of the Metropolitan and City of London Police issued instructions that all cases of cruelty to children reported to them should be handed to NSPCC to be dealt with. The NSPCC was granted its Royal Charter on 28 May 1895 by Queen Victoria who became its first Royal Patron. It did not change its title to "Royal Society for the Prevention of Cruelty to Children" or similar, as the name NSPCC was already well established, and to avoid confusion with the Royal Society for the Prevention of Cruelty to Animals (RSPCA), which had already existed for more than fifty years. In 1891, the League of Pity was founded to allow children to learn about the NSPCC and support fund-raising initiatives. In 1901, King Edward VII and his wife Queen Alexandra became Patrons of the Society upon the death of Queen Victoria. In 1905, Reverend Benjamin Waugh retired from the Directorship of the Society, as a result of failing health, after 21 years' of service. In 1910, King George V and his wife Queen Mary became Patrons of the Society upon the death of Kind Edward VII. Shortly after the outbreak of the First World War, 18 Inspectors joined the Royal Navy and a further 42 joined the Army. During the course of the war, the NSPCC inspector for Manchester was awarded the Victoria Cross. In January 1915, the NSPCC appointed its first Female Inspector. During the First World War, fraudulent fundraisers were discovered to be collection money in aid of families of those killed or injured in action. The NSPCC, therefore, avoided street collections until the War Charities Act of 1916, which introduced regulations to protect and guide collectors. In 1919, the Prince of Wales, later to be King Edward VIII, became a Patron of the Society. In 1926 the Prince spoke on behalf of the NSPCC in a radio appeal. In 1930, the Society reported helping its four-millionth child. Shortly after the out break of war the Home Secretary, Sir John Anderson, wrote to the Chairman of the Society expressing his thanks that the Society had decided to continue its work during the war. During the course of the war, the Society supported over 600,000 children, while nearly 100 of the Society's Inspectors served in the Armed Forces. The NSPCC's organisation in the Republic of Ireland was taken up by the Irish Society for the Prevention of Cruelty to Children (ISPCC), founded in 1956 as a replacement for the NSPCC. Today, the NSPCC works in England, Wales, Northern Ireland, Scotland, and the Channel Islands. The NSPCC is the only UK charity which has been granted statutory powers under the Children Act 1989, allowing it to apply for care and supervision orders for children at risk. In 1983, the NSPCC launched its centenary appeal in Britain in order to "establish 60 child protection teams across the country." The launch of the appeal occurred during a time when the organization was struggling because of an insufficient amount of public support and government funds. To help advertise for the NSPCC, a poster was created that highlighted the faces of two abused children, one from 1884 and the other from 1984. The message that was written along with the picture was "The faces change, the bruises don't." The NSPCC documented allegations of Satanic ritual abuse in 1990, with the publication of survey findings that, of 66 child protection teams in England, Wales and Northern Ireland, 14 teams had received reports of ritual abuse from children and seven of them were working directly with children who had been ritually abused, sometimes in groups of twenty. An investigation into SRA allegations by the British government produced over two hundred reports, of which only three were substantiated and proved to be examples of pseudosatanic abuse, in which sexual abuse was the actual motivation and the rituals were incidental. The NSPCC also provided a publication known as Satanic Indicators to social services around the country that has been blamed for some social workers panicking and making false accusations of sexually abusing children. The most prominent of these cases was in Rochdale in 1990 when up to twenty children were taken from their homes and parents after social services believed them to be involved in satanic or occult ritual abuse. The allegations were later found to be false. The case was the subject of a BBC documentary which featured recordings of the interviews made by NSPCC social workers, revealing that flawed techniques and leading questions were used to gain evidence of abuse from the children. The documentary claimed that the social services were wrongly convinced, by organisations such as the NSPCC, that abuse was occurring and so rife that they made allegations before any evidence was considered. The NSPCC's stated core values are based on the United Nations Convention on the Rights of the Child. The NSPCC runs local service centres across the UK where it helps children, young people, and families. Since 2009, the NSPCC has run a Child Protection Consultancy service aiming to make organisations safer for children. This offers training and consultancy to organisations which have contact with children, ranging from schools to sporting bodies. The charity works through local safeguarding children's boards (LSCBs), where the police, health, social and education services and others can work together. In 2011, the NSPCC launched its All Babies Count campaign to highlight the vulnerability of babies and calling for better and earlier support for new parents. In 2012 the charity won a PRCA award for its Don't Wait Until You're Certain campaign that encouraged people to call the NSPCC with any worry about a child. The NSPCC's campaigning role has often been controversial. The Guardian reported New Philanthropy Capital recently concluded that its campaigning is "flawed and naïve" and that there is "zero evidence" that £250m the NSPCC has spent on its recent "Full Stop" campaign actually benefited any children. The NSPCC also received complaints, amongst other things, for "cold" mailing potential donors with a "babies' names" booklet containing instead a detailed list of the deaths of babies. In recent years, the charity has faced criticism for its stance on contact visits to children following parents' separation. The NSPCC has consistently opposed an automatic right of contact for both parents, arguing that this is not necessarily in the best interests of the child. This stance has led to criticism both in Parliament and by the fathers' rights group Fathers4Justice. 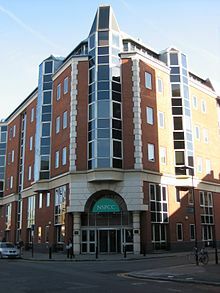 In 2004, the London headquarters of NSPCC were briefly invaded and occupied by Fathers4Justice supporters, claiming that the NSPCC "ignores the plight of 100 children a day who lose contact with their fathers" and that they promote a "portrayal of men as violent abusers." The NSPCC also faced criticism for failing (along with other organisations) to do enough to help abuse victim Victoria Climbié and prevent her death, and also for misleading the inquiry into her death. The organisation has faced further criticism for its allegedly increasing obsession with publicity and advertising, for fear mongering and supposedly fabricating or exaggerating facts and figures in its research. In an article on Spiked, Frank Furedi professor of sociology at the University of Kent, branded it a "lobby group devoted to publicising its peculiar brand of anti-parent propaganda and promoting itself." David Hinchliffe, Labour MP, supported expenditure on campaigning, stating that the NSPCC's role should be about raising awareness, whilst Conservative MP Gerald Howarth described it as "completely incompetent" although he cited the charity's support for reducing the homosexual age of consent to 16 as the reason for him withdrawing his support for the Full Stop campaign. In April 2017 the Information Commissioner's Office fined eleven charities that breached the Data Protection Act by misusing donors’ personal data. NSPCC was fined £12,000. In 2009, the NSPCC launched a new seven year strategy. The strategy reaffirmed the society's vision to ending cruelty to children in the UK. It was suggested that policy, influencing and campaigning work, combined with the experience of working directly with young people could help deliver this vision. Learning was to be at the core of the society's work. The ambition was to subject all of the organisation's direct services to evaluation and then to roll out effective interventions to mainstream service providers. In 2016 the society's new six year strategy pledged to continue generating evidence of 'what works' in preventing child sexual abuse. Information about how evaluations were carried out by the NSPCC, including information about the outcome measures used. A series of blog articles recounting the experiences of professionals in running research articles and producing evidence. Information about the organisation's Research Ethics Committee and the process of ethical review to which research projects needed to be subject. A video interaction guidance intervention with families where initial concerns about neglect have been noted. A therapeutic intervention for children affected by sexual abuse and their carers. An intervention designed to support infant mental health. An early intervention programme designed to enhance a mother's relationship with her baby. A parenting programme helping fathers change their behaviour after domestic abuse. An intervention helping mothers rebuild relationships with their children after domestic abuse. An intervention helping parents with drug or alcohol problems improve their parenting skills. An exploratory approach to working with community members to reducing child sexual abuse. ^ "Media Centre – FAQs". NSPCC. Archived from the original on 6 January 2009. Retrieved 14 January 2009. ^ a b "About the NSPCC". Archived from the original on 20 August 2007. Retrieved 19 September 2007. ^ a b c d e f NSPCC Annual Report for 1930-31. London: NSPCC Central Office, 1931, p. 48. ^ Flegel, Monica (27 April 2006). "Changing Faces: The NSPCC and the Use of Photography in the Construction of Cruelty to Children". Victorian Periodicals Review. 39 (1): 1–20. doi:10.1353/vpr.2006.0022. ISSN 1712-526X. ^ a b Roger., Courtney, (2002). Strategic management for voluntary nonprofit organizations. London: Routledge. p. 279. ISBN 0415250242. OCLC 50875165. ^ Birmingham and District Branch of the NSPCC, Annual Report for the year ending 31st December 1942, p. 2; Carlisle, Penrith and North Cumberland Branch of the NSPCC, Annual Report for the year ended 31st December 1945, p. 2. ^ La Fontaine, J S. (1994). The extent and nature of organised and ritual abuse: research findings. London: HMSO. ISBN 0-11-321797-8. Retrieved 29 April 2008. ^ LaFontaine, J. S. (1998). Speak of the Devil: allegations of satanic abuse in Britain. Cambridge, UK: Cambridge University Press. ISBN 0-521-62934-9. ^ Tim Black (5 September 2011). "The NSPCC doesn't help kids – it harms them". Spiked. Retrieved 1 August 2015. ^ Jeni Harvey (14 January 2006). "Satanic abuse: The truth at last". Middleton Guardian. Archived from the original on 9 October 2012. ^ "When Satan came to town". BBC. 9 January 2006. Retrieved 3 September 2015. ^ Cummings, Dolan (12 January 2006). "A full stop to the Satanic panic". Spiked. Retrieved 19 September 2007. ^ "Home Page". ChildLine. Archived from the original on 24 October 2013. Retrieved 2 January 2014. ^ Lake, Howard. "ChildLine and NSPCC to Merge in 2006 | UK Fundraising." UK Fundraising. 2005. Web. 20 April 2016. ^ "NSPCC direct services". NSPCC. Archived from the original on 9 May 2013. Retrieved 17 April 2013. ^ "THE NATIONAL SOCIETY FOR THE PREVENTION OF CRUELTY TO CHILDREN". Charity Commission. Retrieved 17 April 2013. ^ "NSPCC warns 200,000 babies at risk of abuse". BBC News. Retrieved 17 April 2013. ^ "PRCA Awards 2012". PRCA. Archived from the original on 6 May 2013. Retrieved 17 April 2013. ^ Butler, Patrick (1 August 2007). "Full Stop Missing". The Guardian. London. Retrieved 27 November 2007. ^ "Mailshock". The Guardian. London. 3 October 2006. Retrieved 19 September 2007. ^ "Protesters enter charity offices". BBC. 15 November 2004. Retrieved 19 September 2007. ^ "It Needs To Be Stopped. Full Stop". The Guardian. 19 February 2002. Retrieved 19 September 2007. ^ Why this NSPCC advert is harmful to children. The Guardian. Retrieved 21 November 2011. ^ A Stranger Danger. Sirc.org. Retrieved 21 November 2011. ^ Furedi, Frank (19 January 2004). "A danger to the nation's children". Spiked. Retrieved 1 August 2015. ^ a b John Carvel (9 December 2000). "NSPCC hits back over cash". The Guardian. London. ^ "ICO fines eleven more charities". ico.org.uk. 5 June 2017. ^ NSPCC. "NSPCC Strategy 2016-21" (PDF). NSPCC. NSPCC. Retrieved 2 August 2018. ^ a b NSPCC. "Impact and evidence: Using evaluation, research and evidence to protect children and prevent abuse". NSPCC. NSPCC. Retrieved 2 August 2018. ^ NSPCC. "Impact and evidence series: Our evaluation and research on what works to protect children from abuse and neglect". NSPCC. NSPCC. Retrieved 2 August 2018. ^ NSPCC. "How we evaluate our services". NSPCC. NSPCC. ^ NSPCC. "Tools for measuring outcomes for children and families: Our experiences of using standardised measures in the evaluation of our services". NSPCC. NSPCC. Retrieved 2 August 2018. ^ NSPCC. "Research with children: ethics, safety and avoiding harm What to consider when conducting research involving children". NSPCC. NSPCC. Retrieved 2 August 2018. ^ Whalley, Paul; Williams, Mike. "Child neglect and Video Interaction Guidance: an evaluation of an NSPCC service offered to parents where initial concerns of neglect have been noted" (PDF). NSPCC. NSPCC. Retrieved 2 August 2018. ^ Carpenter, John; Jessiman, Tricia; Patsios, Demi. "Letting the Future In: a therapeutic intervention for children affected by sexual abuse and their carers, an evaluation of impact and implementation" (PDF). NSPCC. NSPCC. Retrieved 2 August 2018. ^ Turner-Halliday, Fiona; Watson, Nicholas; Minnis, Helen. "Process Evaluation of the New Orleans Intervention Model for Infant Mental Health in Glasgow" (PDF). NSPCC. NSPCC. Retrieved 2 August 2018. ^ Grayton, Lucy; Burns, Phebe; Pistrang, Nancy; Fearon, Pasco. "Minding the Baby: Qualitative Findings on Implementation from the First UK Service" (PDF). NSPCC. NSPCC. Retrieved 2 August 2018. ^ McConnell, Nicola; Barnard, Matt; Holdsworth, Tracey; Taylor, Julie. "Caring Dads: Safer Children" (PDF). NSPCC. NSPCC. Retrieved 2 August 2018. ^ Smith, Emma. "Domestic Abuse, Recovering Together Evaluation Report" (PDF). NSPCC. NSPCC. Retrieved 2 August 2018. ^ Hollis, Vicki; Cotmore, Richard; Fisher, Helen; Harnett, Paul; Dawe, Sharon. "An evaluation of 'Parents Under Pressure' a parenting programme for mothers and fathers who misuse substances" (PDF). NSPCC. NSPCC. Retrieved 2 August 2018. ^ Barlow, Jane; Sembi, Sukhdev; Petrou, Stavros; Parsons, Helen; Dawe, Sharon; Harnett, Paul. "Parents under Pressure: a programme for families with parental substance misuse An evaluation of impact, process and cost-effectiveness" (PDF). NSPCC. NSPCC. Retrieved 2 August 2018. Susan J. Creighton, "Organized Abuse: The NSPCC Experience", Child Abuse Review; Volume 2, Issue 4 (1993), p. 232–242. Jean La Fontaine, The Extent and Nature of Organised and Ritual Sexual Abuse of Children, HMSO, 1994. Jean La Fontaine, Speak of the Devil: Tales of Satanic Abuse in Contemporary England, Cambridge University Press, 1998. Department of Health and Social Services Inspectorate. North West Region, Inspection of child protection services in Rochdale, Greater Manchester: Social Services Inspectorate. North West Region, 1990, viii, 33pp. Clyde, James J., The report of the inquiry into the removal of children from Orkney in February 1991, Edinburgh: HMSO, 1992, xiv, 363pp. ISBN 0-10-219593-5. Department of Health and Social Security and Welsh Office, Working Together: a guide to arrangements for inter-agency co-operation for the protection of children from abuse, London: HMSO, 1988, 72pp. ISBN 0-11-321154-6. Eleanor Stobart, Child abuse linked to accusations of "possession" and "witchcraft", Nottingham: Department for Education and Skills, 2006. Wikimedia Commons has media related to NSPCC. Charity Commission. National Society for the Prevention of Cruelty to Children, registered charity no. 216401. "National Society for the Prevention of Cruelty to Children, Registered Charity no. SC037717". Office of the Scottish Charity Regulator.